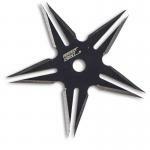 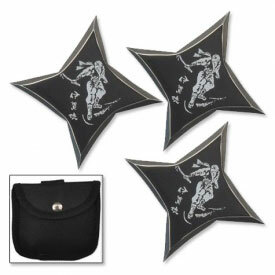 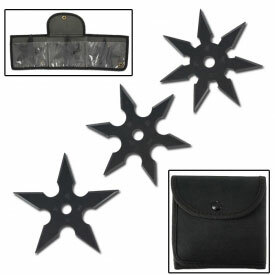 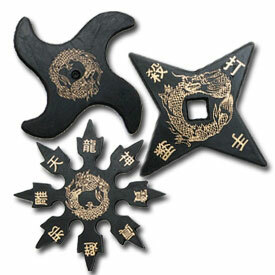 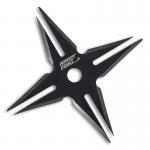 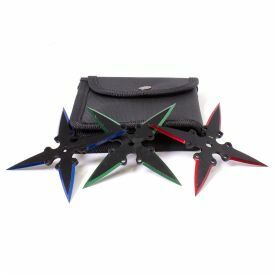 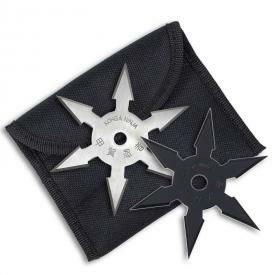 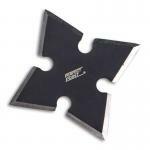 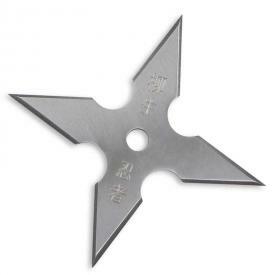 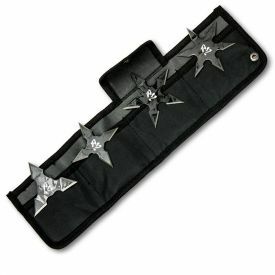 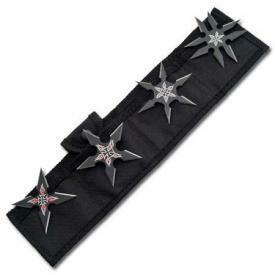 Our shuriken variety pack gives you four different types of throwing stars for maximum effectiveness in any situation. 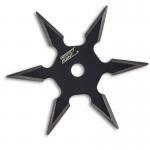 Each measures 2 1/2" in diameter and features stainless steel construction with black finish. 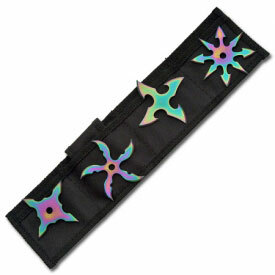 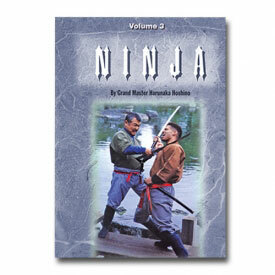 Includes a folding nylon carrying pouch with belt loop, not pictured. 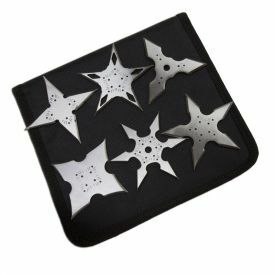 "i was disapointed by the size very sharp very thin belt holder a little to small for stars but other than that pretty good"